Add Some Naruto Jewelry to Your Outfit! Your outfit can’t look complete without Naruto jewelry. That is why Hokage Store offers you a great variety of pendants, rings, keychains and other stuff. 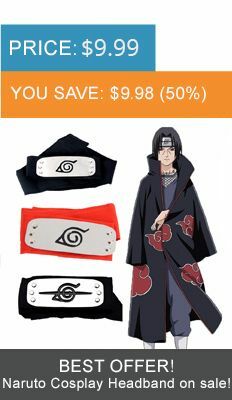 Get yourself a cool-looking Naruto necklace or a pair of outstanding earrings. The products our online shop offers will suit both men and women. Find an item referring to your favorite character or the one that looks best with your costume. We are sure that you can get really interesting models among the Narutojewelry we’ve got.